Project Charlie - the new iPhone? We've received news from a Best Buy insider about some new phones that may be on the horizon for the electronics retailer. 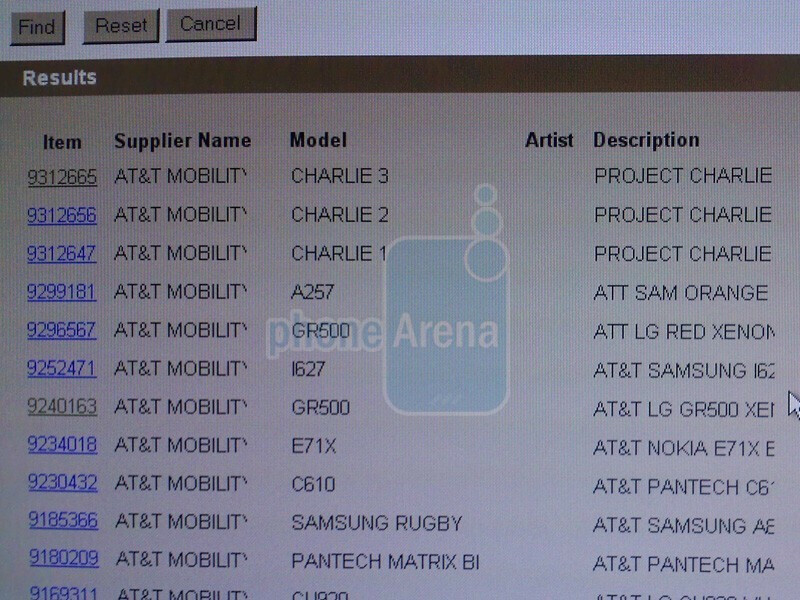 Taking a peek into Best Buy's inventory system reveals three AT&T phones that have a “Project Charlie” codename. The three new phone SKUs came up recently and our tipster said it could possibly be the new versions of the iPhone. Most likely the reasoning behind the three models are possibly due to different colors or memory capacities that would be available. It's still too early to say and without any official confirmation from the big blue box; it can only be speculation. We would think that Best Buy would be the first to get their hands on any new iPhone models. The new iPhone is now officially announced - you can check the Apple iPhone 3G S Specifications here. Can we eliminate all other phones, to make it only likely that it is iPhone? What other handset, that Best Buy would sell, would be coming into stock and selling then? didnt you know that the iphone is the best phone for every person ever? It is most probably the iphone since nobody on the face of the planet (that I can think of) is nearly as secretive as Apple about their new devices. Made internet news, everywhere is quoting phonearena.